(CNN) -- The answers are starting to emerge. It is hard to imagine them being any more heartbreaking. "Why did no one miss him? Why didn't anyone seem to even notice he wasn't around?" The body of a boy named Christian Choate, 13, had been found encased in cement and buried in a shallow grave in Lake County, Indiana. Police and prosecutors there alleged that he had been forced to live in a dog cage, and was kept naked except for a diaper. They alleged that his father, Riley Lowell Choate, 39, and his stepmother, Kimberly Leona Kubina, 45, had regularly beaten and kicked the boy, deprived him of food, and chained his hands to the top of the cage. They have been charged with murder, battery, neglect of a dependent and criminal confinement. They have pleaded not guilty; Riley Choate is scheduled to be back in court on Tuesday. One of the most saddening aspects of the case is that Christian was killed more than two years before his body was found in May, yet during all that time, according to police investigators, there is no indication that anyone was looking for him. He had been pulled out of school long ago, so there were no teachers who wondered where he might be. The state of Indiana did not have an investigation of his family open at the time of his death and disappearance; the state's child protective agency had no idea he was gone. According to police, his father had "punched him with full force several times in the front, side and back of his head" in April of 2009 because the boy was too ill to eat; when Christian, back in the cage, stopped breathing, police said, he was put into a garbage bag, covered with cement and hidden beneath the ground. 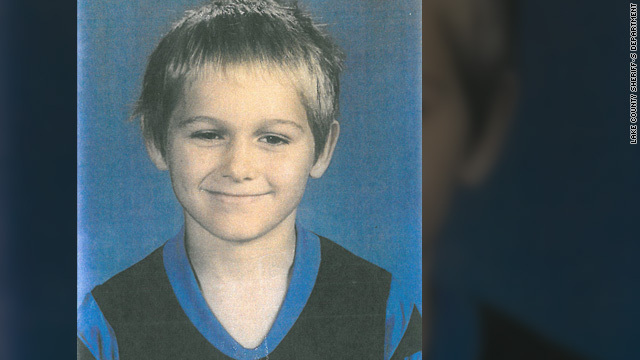 When his body was discovered this spring, the Indiana Department of Child Services said it could not disclose whether caseworkers had ever been called to the home, maintaining that confidentiality provisions in state law prohibited the release of such information. But a court in Lake County in recent days has released records compiled by investigators about Christian's family, and the boy's agonizing life. It turns out that child-protection workers had investigated the family numerous times for more than a decade, beginning even before Christian was born. They had received repeated telephoned complaints -- presumably from neighbors and acquaintances -- about what was being done to the children in that home, according to the records. Many of the allegations were judged to be "unsubstantiated"; others were followed up on. But in all those years of home visits, there is no indication that anyone did a thing to help Christian. According to the court-released documents, the last time child-protection workers had contact with him was on June 30, 2008. They had received a call alleging that a 12-year-old boy was being kept "on house arrest." This was during the period in which Christian was locked in the dog cage. A worker had gone to the home and had "observed all children and stated they appeared to be doing well" and that there was "not a 12-year-old-boy on house arrest." The allegation that had come in was deemed "unsubstantiated." The almost unbearable part of the reports released by the court late last month is an account of letters that investigators say Christian had written while in the cage. While other children in the family were outside playing, he allegedly was told to write his thoughts down. The records indicate that his stepmother, in ordering him to do this, seemed especially sadistic; the topics she assigned him included "Why do you still want to see your mom?" and "Why can't you let the past go?" • "Christian often stated he was hungry or thirsty." • "Christian wrote of why nobody liked him and how he just wanted to be liked by his family." • "Christian stated that he wanted to die because nobody liked the way he 'acted.' "
• "Christian wrote of how many times he had to steal food or use the bathroom in his place of confinement." • "Christian wrote of how he was 'let out' to clean or vacuum but then had to go back to his 'place' (the dog cage) immediately afterwards." • "Christian wrote of how he had nothing to do and if he asked for something to do he was given a piece of paper and a pencil." • "Christian wrote of how everybody else was outside playing but he was not." The report concluded: "The writings go on and on of how isolated and sad Christian was on a daily basis." "Christian's writings detail a very sad, depressed child who often wondered when someone, anyone, was going to come check on him and give him food or liquid." He never knew it, but the letters to no one that he wrote while locked in the dog cage, fearing that he was forgotten by the outside world, may turn out to be his most powerful and far-reaching legacy. His words are like a prayer. His words should be a reminder that when there are allegations that a child is being confined and tortured, extra, maximum, tireless effort must be exerted before those claims are permitted to be checked off as "unsubstantiated." A child who is beaten and caged is likely to be terrified of his so-called guardians; if a caseworker comes into the home, the child likely knows that if he says the wrong thing, he will face more brutality when the caseworker leaves and he is alone to face his tormentors once again. Christian was "a very sad, depressed child who often wondered when someone, anyone, was going to come check on him...."
His prayers had a chance of being answered. Someone did come to check on him -- repeatedly. And, in the end, reported with confidence that all the children in the home "appeared to be doing well."